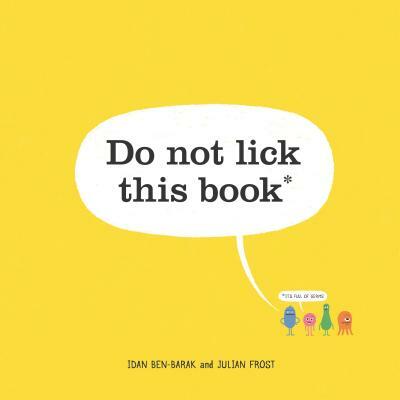 Do Not Lick This Book (Hardcover) | Fountain Bookstore, Inc.
My comments to my sales rep about this book: WHY NO FLOOR DISPLAY???????? WHY???????? THIS BOOK IS GENIUS!!!!!!!!!!!!!!!!!!!!!! I LOVE IT!!!!!!!!!!!!!!! I WANT PLUSH AND PAPER DOLLS AND BOOKMARKS AND BRANDED KLEENEX AND HAND SANITIZER NOW!!!!!!!!! And now for the real review: This delightfully disgusting book will not only have kids learning about the microbes that live on all of us, but actually transferring them around their own bodies!! Brilliant!